One of the factors that play a substantial role in the success of a foodservice operation is food costs. Food cost is what a menu item costs to prepare. The cost of a chicken entrée with meat, sauce, vegetables and starch is your food cost. Most restaurants run between a 30-40% food cost, this does not include the cost of overhead that needs to get added in before you start making a profit. A major influence on a restaurant’s food costs are the portions that the kitchen staff are creating each recipe and dish with. One of reasons that franchise chain restaurants are so successful is because they have menu portions under control and regulated. It doesn’t matter if you go to Applebee’s in West Virginia or California, you will probably be served the same food in the same portion sizes. Customers like this consistency. By having a restaurant maintaining predictability, regardless of the location, chain restaurants guarantee strong profit margins. Poor portion control is one of the leading causes of food cost variances. Consider that your ideal food cost is based on the premise of exact portioning for each menu item, including the portioning of each ingredient within a menu item. If your prep and line cooks have gotten in the habit of “eyeballing” measurements rather than sticking to the exact recipes, chances are your food cost variance could be as much as 5% or more. Proven portion control strategies include the use of portioning scoops, scales and measuring spoons and cups. Pre-portioning can be effective in controlling costs by using portion baggies and a scale to pre-weigh product before stocking the cook line. Ideal food cost is the standard by which you can compare your actual food cost. If your actual food cost varies to your ideal food cost, then you set about to determine why and where the problem(s) lie. 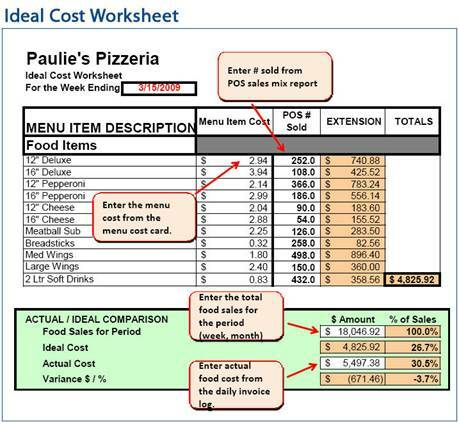 After completing your inventory, you should do a food cost analysis. You should do this at least once a week. 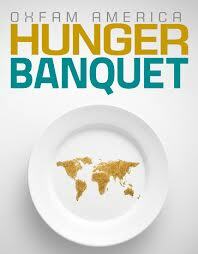 The actual food cost is the cost of the food consumed by your customers. 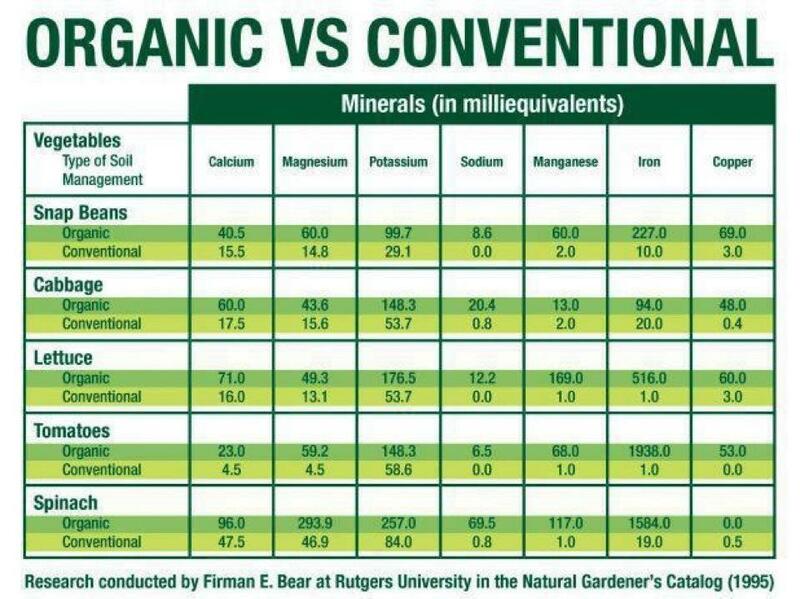 When your actual food cost is higher than your ideal food cost, then you have not optimized your bottom-line profits. You have thrown money out with the window- I guess you could say. However, you won’t know this unless you know what your ideal food cost is. – Providing pictures of each plated item. This illustrates the correct portion sizes and proper plating. – Provide pictures of what each raw material/ingredient should look like after they are prepped. So for example, have pictures of actual sizes of what diced chicken looks like compared to the restaurant’s sliced chicken. This will give employees a visual of how to prep and what to look out for when assembling menu items. – Pre-portion condiments, sides, and sauces. Every restaurant that I have ever worked in has done this. This is why when you go out to eat a restaurant and you order a salad, the dressing usually comes in small ramekins that have plastic lids. This way you can serve the dressing in-house or for to-go. – Always have an adequate amount of correct sized storage containers, ladles, and scoops for each menu item as well as a variety of measuring cups, spoons, and scales. These four prevention measures not only assist in less waste, but they also speed up food preparation and service time – especially at peak times like the lunch-rush or dinner-rush. It also makes certain that your customer gets exactly what they order and what they want, every single time they come to dine at your foodservice establishment. So, with all of this information being said… How does this apply to my ISPP rotations right now? Well, at my Institutional Food Service, Production and Management rotation, the entire class was assigned a task. 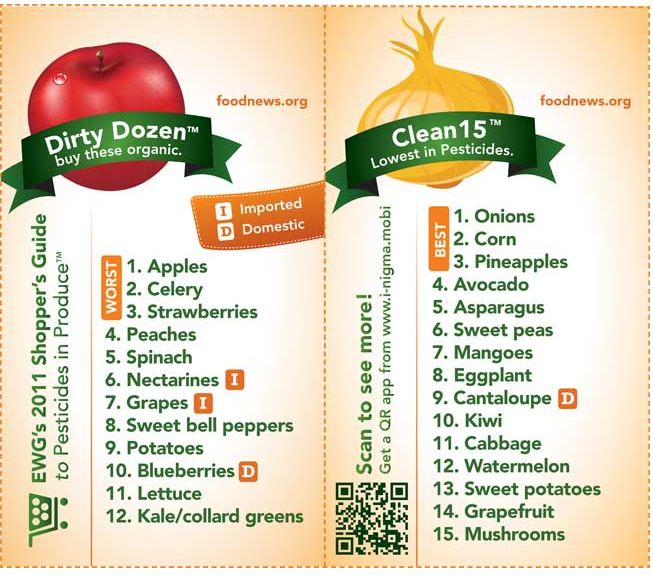 This was to choose a raw material (ingredient) and analyze the actual vs. ideal food costs of that item. And by doing this, see what the restaurant needs to do to improve the usage of this product- whether or not if it was being overused or underused. So, the raw material I chose was chicken breast. This is the most profitable, and popular, raw material that this particular restaurant location utilizes throughout the summer. 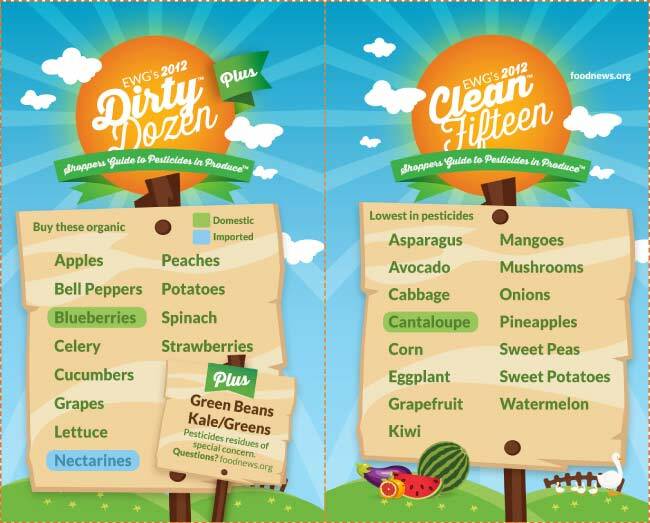 So, by going through the company’s database with the assistance from management, each student/dietetic intern were able to see what problems existed. And by doing this, new techniques or methods can be adopted to improve the use of these raw materials within the foodservice operation. Fundamentally- creating an even happier customer base. What is Ideal Food Cost? 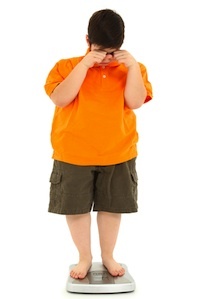 It’s no secret that America has a childhood obesity epidemic. The health risks that can accompany childhood obesity are so regularly featured on news reports that it’s amazing the problem is still so prevalent. And although many parents can identify a weight problem in their child, they might not know what to do about it, especially when it comes to handling the situation without damaging her self-esteem. Here is some food for thought for parents of overweight children, along with some practical, real-life advice for handling the situation. Well, the day finally arrived! Saturday February 2, 2013- The “Love Your Heart Fun Lunch” free heart screening event took place at the WVU Heart Institute in the Suncrest Towne Centre. 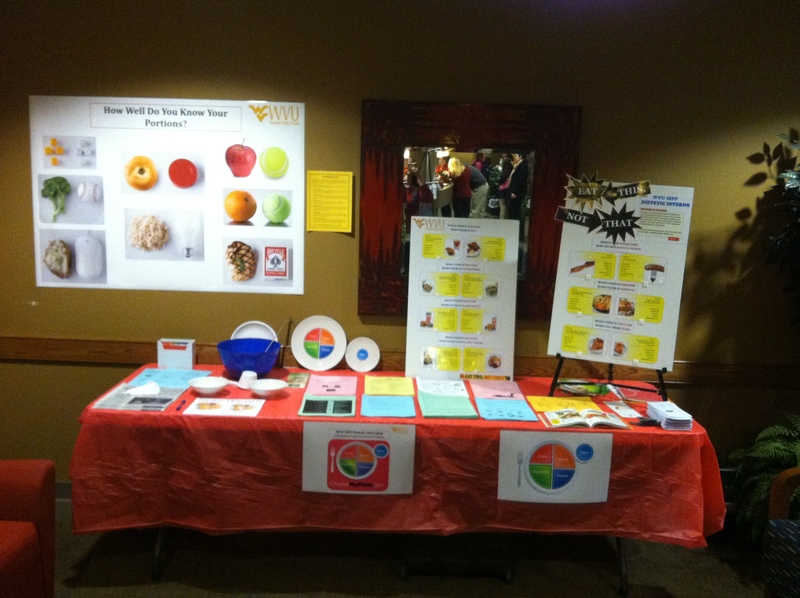 The ISPP Dietetic Internship was there and we were ready to educate the community all about…. (drum roll please)… PORTION DISTORTION! 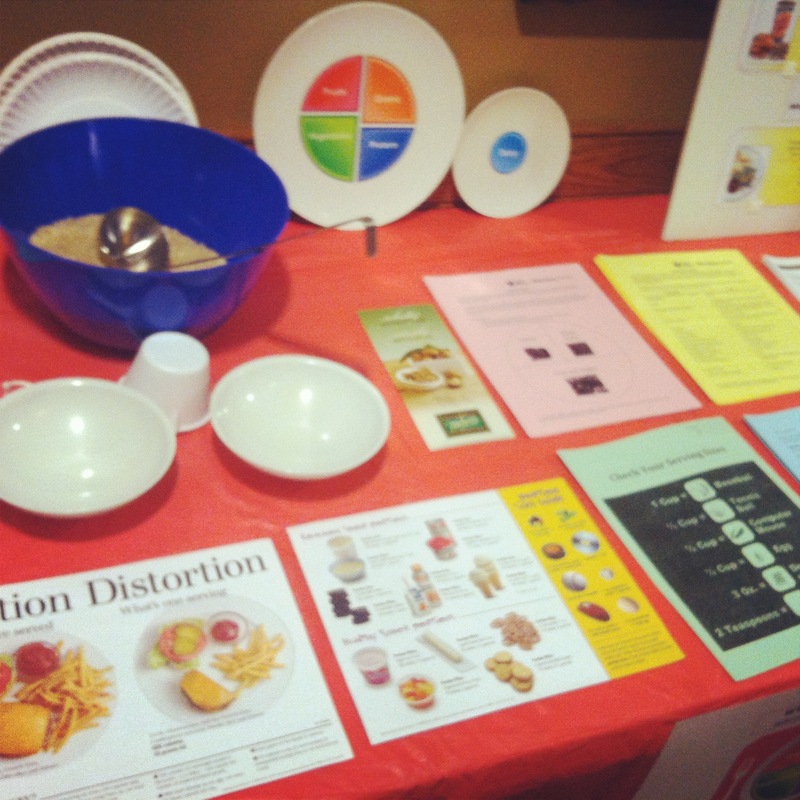 Since the ISPP Dietetic Internship has an Emphasis Area of “Leadership in Community Wellness”, our table was geared towards addressing what so many Americans find themselves becoming confused about- serving sizes, portion control, and easy ways to remember how to stay healthy. We were asked by the coordinators of the event to wear a red shirt and dress pants. All of the table covers were provided by the staff and they even provided tape for me to use when I was setting up and hanging our “How Well Do You Know Your Portions” poster. The participants received a stamp from the ISPP Dietetic Internship table when they walked through our demonstrations and interacted with our activities. These stamps went on a participant bingo card, which entered them for a chance to win a door prize if they visited each table in the waiting area. Our first activity at our table was Kaylyn’s “Fast Food Quiz”, which was very intriguing to everyone at the event. Our second interactive, hands-on activity was a portion exercise I created. I had two bowls displayed in front of a bowl of rice. The purpose was to have participants portion out how much they thought a normal portion of brown rice was, then portion the appropriate amount into the other bowl to compare the two bowls side-by-side. Only four people tried the activity so, maybe next time I try to implement something like this again, I should include directions displayed for participants to see so there’s no confusion. 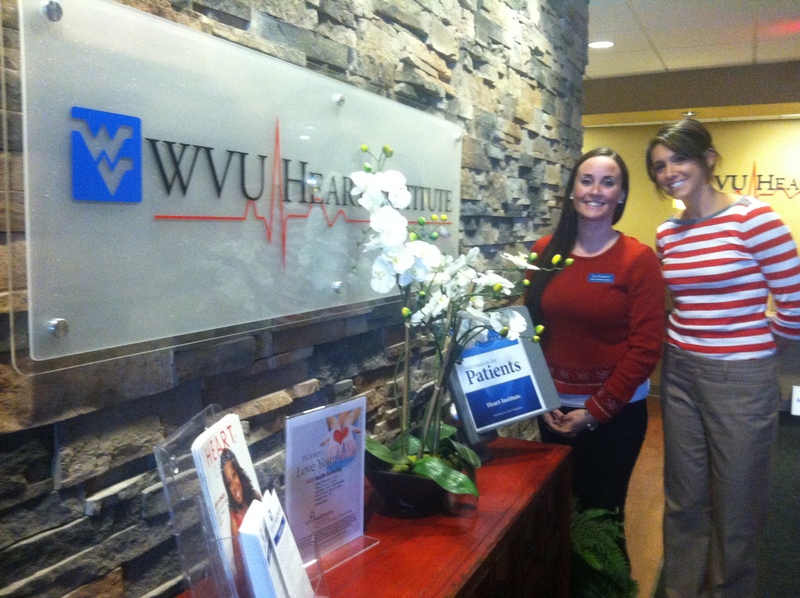 Overall, the event was a real success for the WVU ISPP. Everyone seemed really open and receptive to the information we were providing to them. 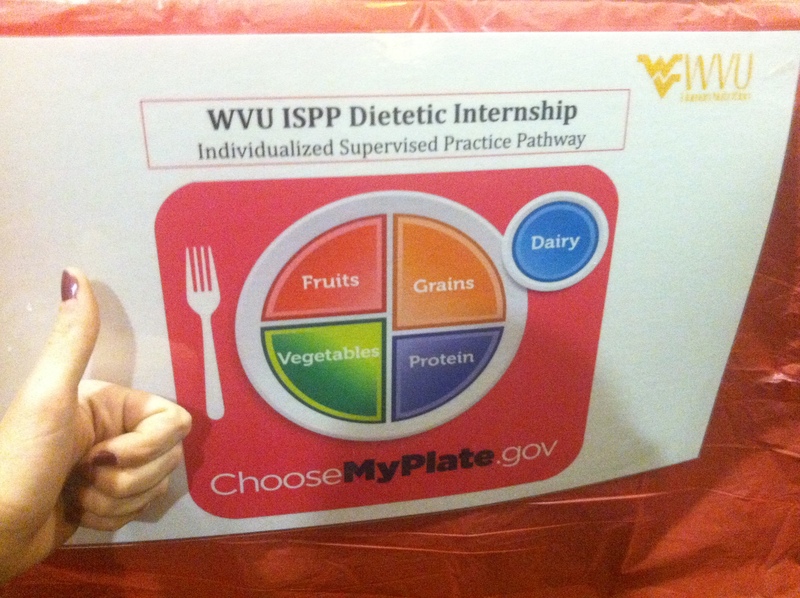 Two-thirds of the ISPP Dietetic Internship ready to promote nutrition literacy! 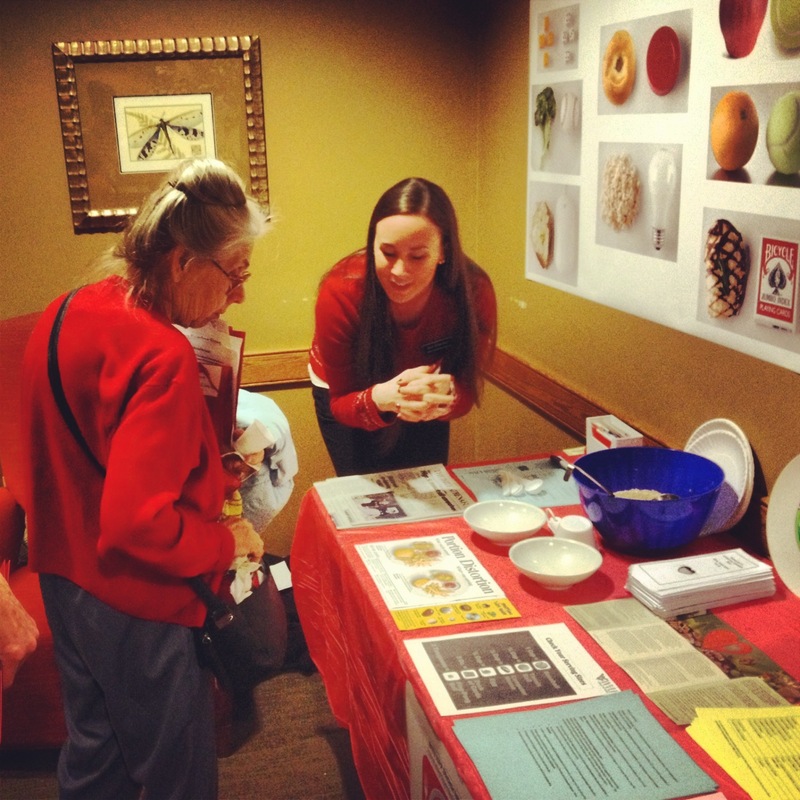 Educating a participant on portions and serving sizes. Most people were quite surprised about the size of a “typical” dinner plate and its effects on portion control. An up-close look at our table and handouts!